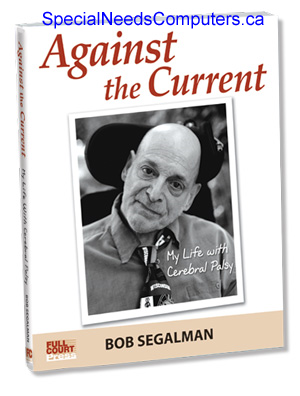 Bob Segalman tells his story—all 60 years plus. Like Bob himself, it’s funny, truthful, poignant, insightful, and sometimes exasperating. Bob was born with significant cerebral palsy at a time when inclusion, mainstreaming, and even special education didn’t exist. With the help of plucky parents and an unsinkable attitude, Bob not only stayed out of an institution, but attended public school and eventually graduated with a PhD in Social Welfare/Sociology! His magnum opus was the founding of Speech to Speech, a federally mandated telephone service for people with speech disabilities. A wonderful account of how grit, grace, and intelligence can overcome significant disability.